The ill fated 64 Bit Jaguar was made aiming to compete with the 16 and 32 bit SEGA, Nintendo and Sony machines of the time. Unfortunately it was to be one of the final nails in the coffin for Atari as it pumped money into an over ambitious project with an unstable foundation. The Jaguar development team were tasked with making a console superior to the Sega Genesis / Mega Drive & the Super Nintendo and in doing so seemed to get caught up in the "mine is bigger than yours" argument rather than concentrating on the quality of the machine and its accessibility for games developers. "There were originally two machines being worked on by Atari. One was a 32-bit console codenamed "Panther" and the other was a 64-bit system codenamed "Jaguar". Work on the Jaguar design completed faster than expected, so Atari cancelled the Panther project to focus on the more powerful Jaguar." The Jaguar was originally released in 1993 in New York City and San Francisco only. The slogan for the launch was "Do the Math" in a direct reference to the 16 and 32 bit competitors and their deemed lack of power compared to the Jaguar. A North America release followed in 1994 but sales were not very impressive to say the least. The system struggled to get a footing in the public's mind and in 1993, Atari reported that by the end of 1994 they had sold around 100,000 Jaguars and had even reduced the price to improve the chances of the console. By the end of 1995, Atari's Jaguar sales declined rapidly. Despite this Atari continued to invest heavily in the Jaguar marketing. The lack of titles for any console will starve the lifeblood out of a console and it was definitely one of the factors that meant the Jaguar was doomed from day 1. Third Party developers saw that the long term prospects for the Jaguar were bleak and were therefore loathe to put money into a development of games for a machine that had no future. There were only 87 games ever released for the console and looking through the list there are actually some surprises that will lay as undiscovered gems for most. Something that didn't help this list of games grow any bigger was the frustrating nature of trying to develop games for the Jaguar. Add to this the lack of decent Jaguar development tools and you get a developing recipe for disaster which meant that writing code for the Atari Jaguar was a laborious and tedious task. Around the end of 1995, Atari's overall revenues had now declined by more than half, from US$38.7 million in 1994 to $14.6 million in 1995. In a bid to boost revenue and sell the heap of Jaguar stock that they had left Atari ran a series of advertisements for most of 1995 in the vein of an 'infomercial' where salesman would be selling the benefits of the Jaguar to an unsuspecting audience. Alas the adverts didn't really contribute to shifting any more units than were currently being sold. This failure of the Jaguar was another blow to Atari who had already been a victim of the video games crash in the early 1980s. Like a dying man in a Western movie Atari attempted a last-ditch effort to revive the Jaguar as it flailed and flayed. The 'mine is bigger than yours' argument came out one last time as the ill advised Atari marketing team tried to play down the SNES and Saturn consoles by declaring the Jaguar was the only "64bit" system in town. That was all well and good (and maybe not 100% true) but the machine didn't have the games to back this up which meant you can have as many 'BITS' as you want but that's no good unless players have the games to play on the system. 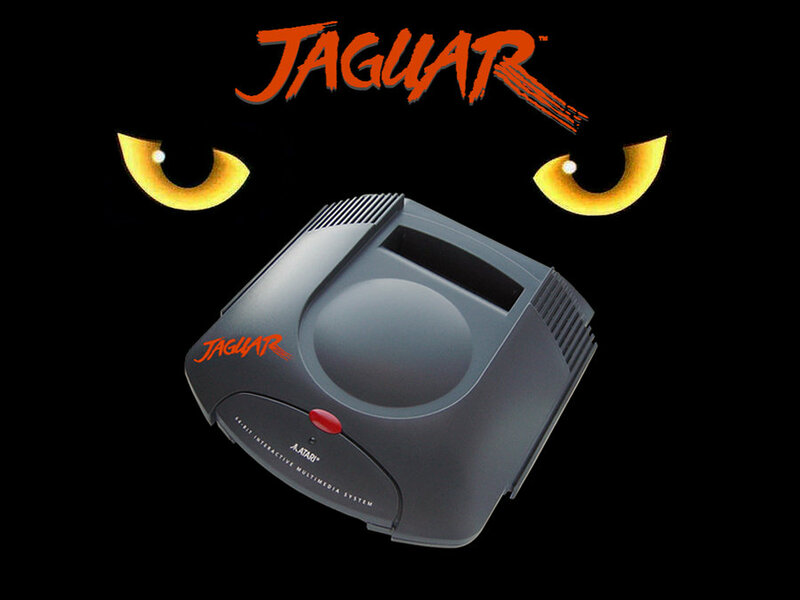 Despite further attempts to revive the flat lining animal, such as Jaguar CD and Jaguar VR, the poor old Jaguar was put to rest over time with Atari never quite wanting to let go of its 64 Bit beast. Unfortunately the Jaguar was a laughing stock in Video Games media and it was a shame to see the once great Atari failing in such a spectacular fashion. In subsequent years the console was launched in the UK at a rock bottom bargain basement price of £29.99 with games from £10 in a bid to get rid of the masses of stock. There was also the company that bought the moulds for the Jaguar to make dental photography equipment! A Jaguar shaped piece of dental equipment must be a real sight to see when you are having your teeth drilled! Then more recently the Jaguar has lived on in the guise of the Retro VGS system that formed a part of a Kickstafter campaign. 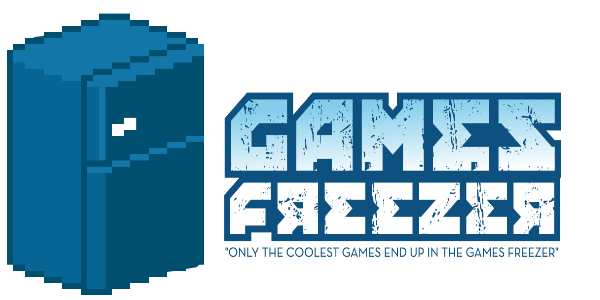 The Retro VGS team had bought up the moulds in order to cut down the costs of trying create new retro themed console. I've painted a pretty bleak picture of the Jaguar lifespan but have you any first hand Jaguar stories to share with me?